We have been discussed and talked about feeding shrimp leaves and fruits on many occasions. And the results are quite well documented in the use of leaves like Mulberry, Oak, Indian Almond (Kattapa), etc. However, the idea of feeding shrimp flowers is still very new. After all in the wild, things like leaves, twigs, branches AND flowers all drop into rivers where native shrimps will use a food source. In terms of nutritional value, you will find nutrients and minerals in flowers that are lacking in leaves (and vice versa). I'll expand on one of the main benefits of a nutrient found in flowers that aren't present in leaves a bit later. HOWEVER, NOT ALL FLOWERS ARE SAFE FOR EATING. So we will start with those flowers that are known to be edible. Of course that are literally hundreds of varieties of edible flowers. We all know about cauliflower and broccoli, those are some common flowers we eat regularly. My experiment is limited to what I could source close by. The flowers I tested on my shrimp include Rose, Nasturtium, Dandelion, Chrysanthemum and Pansies. Caveat: I KNOW for sure that these flowers in my backyard have not been sprayed with anything else apart from tap water and rain. No pesticides, fertilisers. If in doubt, DON'T use it. You could try other flowers that are easily sourced in your garden. But please note - I have limited my research and experiments to flowers only. Not the leaves of these flowers. As a cautionary warning, some leaves are sappy and oily, and might not be too safe to feed your shrimp. So I take no responsibility with the leaves of these flowers. Although, Ineke has fed Nasturtium leaves to her shrimp which they seem to like and was safe as mentioned in another thread. 1) Pick fresh looking flowers with no visible damage. Select flowers that you KNOW have no previous pesticides or fertilisers, and don't grow down stream from sources of water that might be contaminated. 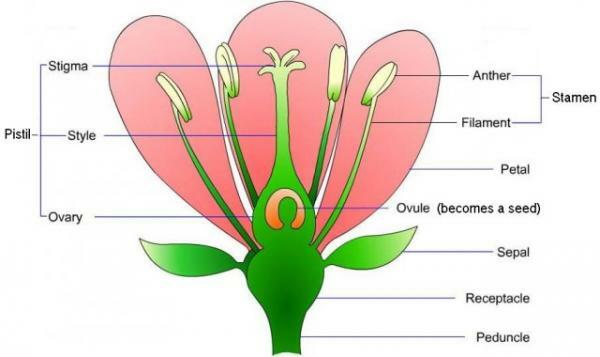 3) Remove as much of the base of the flower (the stem, receptacle and sepal). Usually only the petals are what we want. 4b) Or Blanch it for 1-2 minutes in hot boiling water. Remember, flowers are soft, they don't need to be blanched for much longer. 4c) Freezing or Drying. While it's possible to freeze or dry flowers for storage and feeding at a later date, I'm not sure what nutrients will be lost. 5) Ensure any decayed leftovers are removed if left uneaten after a few days. Apart from the nutritional value of flowers with the abundance of vitamins and minerals, flowers also contain a huge amounts of carotenoids and flavonoids compared to leaves. Specifically, Crytoxanthin, Zeaxanthin and Lutein which is obviously lacking in the leaves. Just look at the pretty colours of flowers. Zeaxanthin and Lutein has been known as a natural source of colour enhancement in fish (and maybe shrimp). These carotenoids are regularly added to fish food from sources like spirulina. Zeaxanthin enhances the Reds and Oranges while Lutein enhances Yellows. Flowers are also high in antioxidants, they are antiseptic, antifungal and anti-inflammatory. This sounds too good to be true. It's like feeding medicine to your shrimps to fight viruses and bacteria. On to the review of specific flowers. Say what?! That's a weed! It sure is, and I have heaps growing in my front garden. Now I have a use for them. Dandelion is a perennial plant with jagged, bright green leaves to 30cm long, a hollow flower stem to 30cm and one terminal yellow daisy. Has been subject of many studies investigating it's ability to even fight cancer! Dandelions, contain numerous flavonoids and carotenoids with antioxidant properties, including four times the beta carotene of broccoli, as well as lutein, cryptoxanthin and zeaxanthin. They are also a rich source of vitamins, including folic acid, riboflavin, pyroxidine, niacin, and vitamins A, B, C and D. Minerals including iron, potassium and zinc. 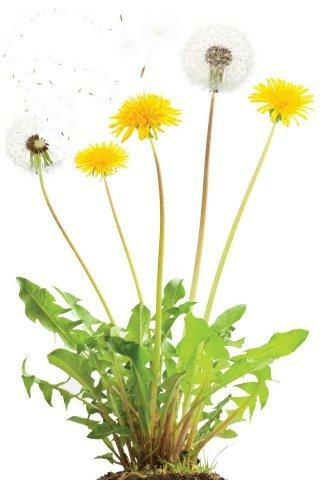 The rich yellow colour of dandelion flowers comes from beta-carotene - Lutein specifically. Side note: the leaves are apparently also really high in Calcium (187mg per 100g), rivalling Mulberry leaves. But I have not tried feeding Dandelion leaves, nor do I know if they are safe. But people eat them. The Chinese, European and Native American have been using the dandelion plant for centuries to treat digestive, kidney and liver ailments. I fed my shrimp a fresh dandelion as one experiment. The first day in the tank, the shrimp investigated it, but didn't seem to be eating. It wasn't till the 3 day that I noticed them actually munching on the flower. The petals probably needed to soften first. The second experiment was with a blanched dandelion. This time the shrimp took to it the same day. And average sized flower was consumed within 3-4 days in my tank. Verdict: Big tick. They loved it. Too early to tell if there is any impact on colouration of the shrimps. 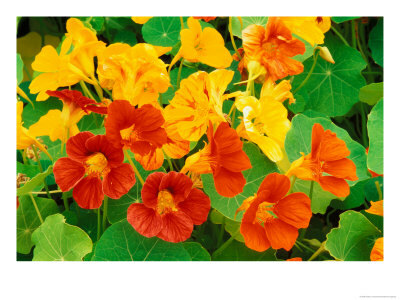 Nasturtium is a PERENNIAL growing to 0.5 m (1ft 8in) by 1 m (3ft 3in). It is part of the Watercress family. The most common variety is Tropaeolum majus. The peppery flowers are good in salads and pasta dishes. A 2009 study by the Universidad Nacional de Colombia identified the group of phenols or phenolic compounds in the pigments of orange and red flowers of Tropaeolum majus as anthocyanins. Anthocyanins, which are abundant in blueberries and red cabbage, help neutralise the damaging effects of free radicals, thereby helping to protect us from chronic diseases such as cardiovascular disease and cancer. Anthocyanins are anti-inflammatory, antimicrobial, anticancer and antioxidant. Nasturtiums are high in Vitamin C, about 45 milligrams vitamin C per 100 grams, and also contain Vitamin A and flavonoids anti-oxidants like - carotene, lutein and zeaxanthin. They also contain Minerals like Iron, Calcium. Nasturtiums might not pack as much nutritional value as dandelions, but it sounds great to feed shrimp occasionally, to combat diseases due to it's antibiotic, antiseptic, and antifungal properties. I fed Nasturtium flowers to my shrimp in a similar fashion to Dandelions. Fresh and Blanched. The shrimp had very similar reactions. They ate it when the flowers were soft. Verdict: Another big tick. They loved it. Too early to tell if there is any impact on colouration of the shrimps. I do have one shrimp that looks unwell. I'm keeping an eye to it to see if there are any improvements. I won't go into detailed reviews on the Rose, Pansies or Chrysanthemum flowers, as I couldn't find much information on it's nutritional value. But the results are very similar. There are dozens of other edible flowers that could be introduced to your shrimp as long as you take the necessary precautions on where you collect these flowers. Daisies, Sunflowers, Daylilies, Violets, Tulips. What I'm very interested in with this food source is the antioxidant, antiseptic, antifungal and anti-inflammatory properties of the flowers, and also the (possible) natural colour enhancement carotenoids. Win - Win. If this helps prevent or cure bacterial issues with shrimps, I'm going to be happy. 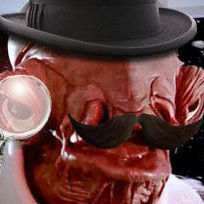 But I've had a difficult time of sourcing it. Do tell what food you are experimenting with. I know you have a PRL project. That's also my project. Cyclop eeze doesn't seem to be sold locally anymore. You can only get it from overseas and the price of the product plus shipping makes it very, very unattractive. Genchem also has an Astaxanthin product, which unfortunately, it's one of the usual stocked items that local retailers have. Probably cause the Genchem distributor isn't bringing it in to Oz. Ok, if you are not ready to let the cat out of the bag yet about this product, then we expect a review soon. For the readers that are unfamiliar with Astaxanthin a quick education is required. Astaxanthin is another form of carotene, like the Zeaxanthin I spoke about above. Unlike chlorophyll (green) and beta-carotene (orange and red plants), which are both found in terrestrial plants, astaxanthin is found predominantly in marine life. A form of microalgae, astaxanthin is consumed by many different types of aquatic life, and its intense red pigmentation results in these animals having red or pink flesh, or outer shells. Because of this, one of the highest concentrations of astaxanthin, other than Haematococcus pluvialis (the truest form of the microalgae and what fish eat), is found in Wild Pacific sockeye salmon. This pigment is what gives the fish's flesh its signature deep red hue, and incredible health-benefitting antioxidant properties. Other natural sources of astaxanthin include lobster, arctic shrimp, crab, crawfish, red trout, red algae, and krill. Red-coloured birds often get their colouring by eating fish and plants that are high in astaxanthin, but they do not typically have a high concentration of the pigment in their bodies. While marine life is where astaxanthin is most commonly found, it is not restricted to water-based plants and animals. For example, a species of yeast called Xanthophyllomyces dendrorhous (also known as Phaffia) also contains relatively high levels of astaxanthin. Like the microalgae form of the pigment, Xanthophyllomyces dendrorhous is a producer of astaxanthin; it does not absorb it from other organic sources. If Astaxanthin is capable of giving lobsters, crayfish, salmon, trout, krill, prawns and crabs (notice they turn red/orange when the shell is boiled) that distinctive red colouration, it is highly possible that it will affect our shrimps in the same manner. Crystal Red Shrimp's red colour can benefit highly with this powerful Xanthophylls carotenoid. This is the reason I have been trying to source it (economically), and I'm sure is the reason Squiggle is experimenting with it as well. A very interesting read, I saw how you suggested gently rinsing any flowers which in a way could be a real shame since the pollen would probably be a real boon to the shrimp as well. I would suggest using not only the flower but also the leaf of day lilies, all of the plant is edible and at work we couldn't grow them in certain garden beds because the cockroaches ate them down to ground level. A very interesting read' date=' I saw how you suggested gently rinsing any flowers which in a way could be a real shame since the pollen would probably be a real boon to the shrimp as well. I was leaning on the side of caution. I would rather the flower was clear of foreign matter. However, you are welcome to skip the rinsing, if you are confident the flower has no pesticide residue. Check it out, this WAS a nasturtium yesterday. The leaves above are mulberry. Given a choice, the shrimp went for the flower over the mulberry. And they normally swarm the mulberry. Interests: Science, writing, shrimp and fish keeping, reading. I noticed something interesting today. I have some anubius that keep flowering but the flowers always disappear so that only a mangled stick is left during the first day. I was blaming my snail, and I'm sure he is sometimes the culprit, but I was home today and saw that a flower had opened and that there were 4 shrimp perched there picking at it. Just a word of caution for anyone trying. Please stick to flowers we know are edible. If in doubt check this list. I'd like to encourage people to report back on their findings. Many flowers have antiseptic, antibacterial and antifungal qualities. If you have suspected recent bacterial issues with your shrimps lately, try feeding flowers and report back on your findings. Basil flowers, Bee Balm (Bergamot) flowers, Borage flowers, Echinacea flowers, Pot Marigold flowers, Chamomile flowers, Chrysanthemums flowers, Garlic flowers, Nasturtiums flowers, Onion flowers, Oregano flowers, Pansy flowers and Violet flowers. Please note - I am talking about the flowers here. So when you see Basil for example, that's the Basil flowers, not the leaves. Even-though the Basil leaves are edible, I cannot vouch for the leaves from some of these other flowers. while we are at it, it's probably best to name some flowers to AVOID, as these are considered poisonous. Primulas, Primroses, Polyanthus, Iris, Daffodils, Nghtshade, box wood, foxgloves, amaryllis, clematis, bryony, buttercups, begonia, columbine, lily of the valley, sweet pea, Brachycome, Nolana, Rudbeckia, periwinkle, oleander, dogbane, aconite. Great write up Jayc! I love the idea of using flowers from the garden and I'm watching & waiting for the dandelions to flower before I now again and my roses are about to put on their last display, so going to try some of them too! Think I might try Violas when they flower again as well. I've tried roses as well. Just the petals straight in without blanching. I was geting mulberry leaves the other day and the tree was flowering so I took a few to try, blanched them to get them to sink and the shrimp went nuts for them! Another one to add to the list. Thanks for the feedback. I've tried bottle brush before. The shrimp didn't really seem interested. A 2009 study by the Universidad Nacional de Colombia identified the group of phenols or phenolic compounds in the pigments of orange and red flowers of Tropaeolum majus as anthocyanins. Anthocyanins, which are abundant in blueberries and red cabbage, help naturalize the damaging effects of free radicals, thereby helping to protect us from chronic diseases such as cardiovascular disease and cancer. Anthocyanins are anti-inflammatory, antimicrobial, anticancer and antioxidant. Nasturtiums are high in Vitamin C, about 45 milligrams vitamin C per 100 grams, and also contain Vitamin A and flavonoids anti-oxidants like ÃŸ carotene, lutein and zeaxanthin. @jayc have you ever tried nasturtium leaves? I'm growing nasturtium in my vege garden and wonder about the leaves. have you ever tried nasturtium leaves? Yes, I have. The shrimp will eat it like any other leaf. Prepare it by blanching like you would for a Mulberry leaf. 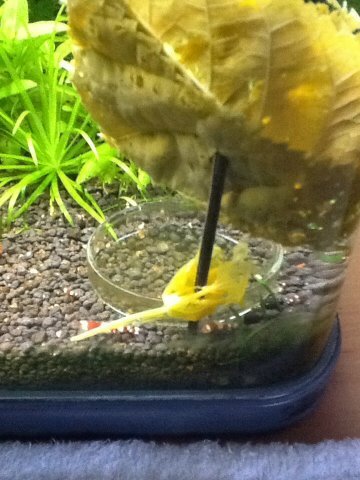 I put a fresh leaf in once, and because they have that natural water repellent properties, it traps air under water and can look quite cool. My shrimp tend to like Mulberry leaves better however. Might have something to do with the taste. Mine love their nasturtium leaves - mulberry leaves are their favourite though - beware that the nasturtium leaves go soft very quickly then slimy so unlike most leaves I tend to siphon them out after a couple of days if there are any left that is!